Clinical Pain Managementis a major new clinical reference work. 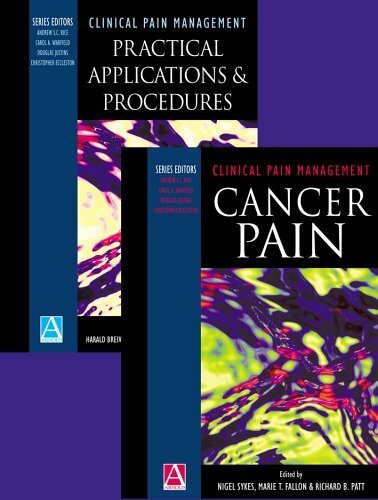 Comprised of four volumes -Acute Pain, Chronic Pain, Cancer Pain and Practical Applications and Procedures- it is a comprehensive textbook for trainee and practising specialists in pain management and related areas, presenting these individuals with all they need to know to provide a successful pain management service. This set includes one clinical volume that deal with chronicpain - from the basic mechanisms underlying the development of pain, to the various treatments that can be applied in different clinical situations. A second volume, Practical Applications and Procedures,complements providing helpful advice on practical aspects of clinical management and research, including protocols and established clinical guidelines: in effect, it is a 'ready-reference manual' for the busy clinician. This is an excellent reference for all types of pain. The time and effort spent, and the attention to detail are represented on every page.Especially enjoyable where the essays featuring Parkins' own theories on some of Doctor Who's mysteries, and the section collecting all know references to the Doctor's own personal history.Whether you are a new fan looking for more info on the Doctor, or an old fan looking to put a little more order into his world, this book is for you. One of the more interesting Dr. Who books, that catches everyone up to date at time of publication. Also covers material in Time Flight 1 and 2 (which are also worth picking up). This is good for Dr. Who fans, and just about anyone who bought their kid (or themselves) a cyberman talking helmet for Christmas. Along with sonic screw drivers, phone activated tardis, or the host of other doctor who memorabilia out there. For those that missed most of the first, second and third doctors, this makes an interesting review into those characters and how they reacted, acted, and their part of the series. Overall a very enjoyable book, and while there are debates on its true authenticity, it is still worth picking up and reading. I enjoyed it, but then I am also a rabid doctor who fan, and in relationship to the other books like Time Flight and others that came out in the last few years, it is an enjoyable book to read. Ever wanted to know when the Cybermen were created? Or how about when the Daleks invaded Earth for the first time? Or perhaps how the universe began and how it will end? Well fans here's your chance with Ahistory (Second Edition).So is there a difference with the first edition? Oh yes and that difference is the reason enough to get this one. This edition has been expanded to cover not just the books and Big Finish audios published after the first edition but the two series of the revived TV series featuring David Tennant plus Torchwood, The Sarah Jane Smith Adventures, and even the long running Doctor Who comic strip. Where has the first book contained 500 or so stories this one contains well over 800. It also presents interesting theories regarding continuity gaffs over the various stories. One of the best things about the book is that it gives nice, neat little summaries of each story which is helpful when you're a fan seeking good stories. The summaries are usually filled with spoilers for the different stories so consider your-self officially warned. While the spoilers aren't good for new fans, long-time fans should enjoy this. Full of theories and dates, this book should be helpful to any fan fiction writer looking for a good time to set a story at. Or if you're a die-hard Who fan seeking to know history according to the Doctor, it's just about as good as stepping into a real-life Tardis. Definitely recommended to Who fans. 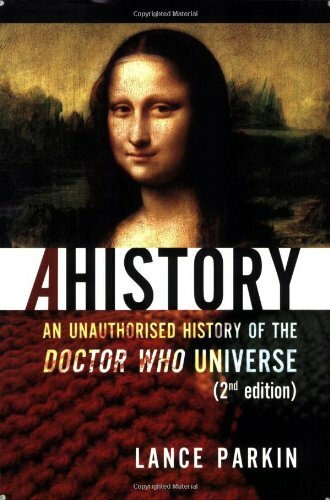 "Ahistory" is the latest edition of Mr. Parkin's attempt at chronologizing Doctor Who. As such it is a humongous work with seemingly endless entries about every tiny nuance that ties individual episodes of Doctor Who together, along with the books and audio adventures of the same. The trouble here is that everything is an enormous mess, because nobody really cared all that much about continuity in a show that was originally designed to be shown once and then taped over. There is much in this book. Far, far too much. Also it contradicts many things that are said in "The Discontinuity Guide" and "About Time". It even contradicts itself in places. One gets the sense that it's all a bunch of fanboys arguing with one another, and not a respectable history (or even ahistory) that tries to be definitive. So this is a terrible work for someone wanting an introduction to Who, but is great for those who want to write their own Who and would like to know what happens in the Somethingth Century so they can put their story there. The major redeeming feature is that "The Discontinuity Guide" and "About Time" do not cover the books or audio adventures to any real extent, and "Ahistory" does. But even this can be seen as a handicap when there is still much debate over the canonicity of the books or audio adventures. 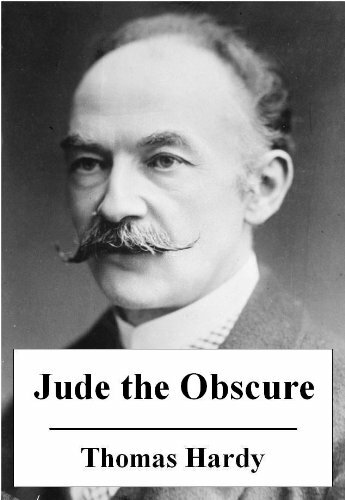 Kindle edition of the last, and most controversial, Thomas Hardy novel with an active table of contents. 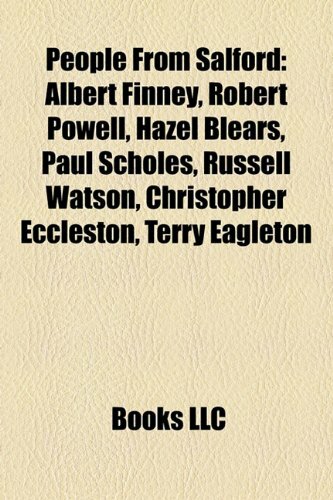 The novel follows Jude Fawley, a working-class young man who dreams of becoming a scholar. The two other main characters are his earthy wife, Arabella, and his cousin, Sue. Themes include class, scholarship, religion, marriage, and the modernisation of thought and society.